Four-thirds.org today published a catalog of available lenses for the m4/3 mount, with full specifications for nearly 70 lenses, plus a lot of marketing material and photo eye candy. The sheer quantity of lenses for m4/3 now puts that mount an near equilibrium with the number of lenses that Canon currently produces for the EOS EF mount or Nikon for their F mount. 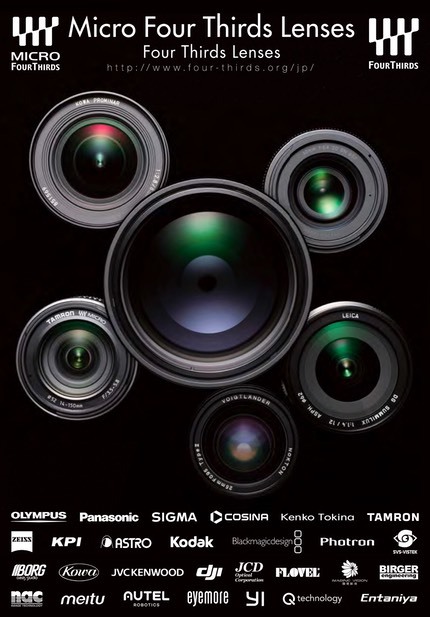 True, there are speciality lenses still missing in the m4/3 realm, plus a lot of duplication and overlap in terms of what is available given all the competing makers within the group, but still, the days of only Canon and Nikon being able to have the big, slick, lens catalogs for a single mount are history. Canon can, of course, point to the fact that all of their lenses can be mounted and used on their mirrorless camera entry, so they still have a strong case. Worse case, you get a 1.6x crop. 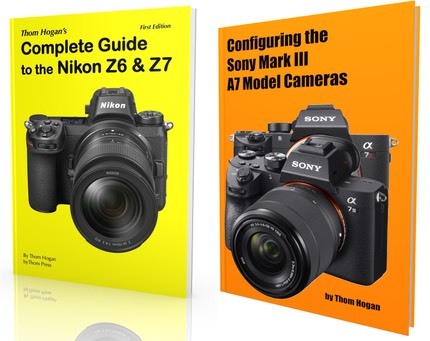 Nikon, on the other hand, has an apparently dead in the water mirrorless product line with such a severe 2.7x crop that it essentially makes everything in their regular catalog a normal or telephoto lens when you use an adapter for them on a Nikon 1. Plus abilities go down and a lot of lenses are completely blocked when mounted on the most recent cameras. Way to go Nikon. If Nikon management is wondering what to call that, it's referred to as "enabling a competitor" in business school. That's also not something top managers should do. It's worth downloading the m4/3 lens brochure and perusing it if for no other reason than to show just how far a new system can come in less than 10 years. Update: an earlier version of this article referred to only the Japanese version of the brochure.